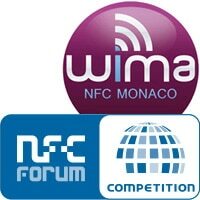 The NFC Forum and Wima have announced the finalists for their jointly-run Tap Into Innovation: NFC Global Competition 2012. This year’s competition attracted three times as many entries as the previous contest in 2010, the organisers say, and covered a broad span of consumer and business application areas, ranging from new approaches to established applications such as mobile couponing, mobile payment and retail merchandising to inventive solutions in new fields such as social media, fitness and health, and cloud-based functions. Best innovative solution, for the entry that uses NFC technology in the most inventive way to address a market, business, or consumer need: SAi (Israel) for its Tag-a-Bag luggage tagging and identification solution, TapThat Game (USA) for its TapThat game and Xius (USA) for its MIT active poster cafeteria ordering system. Best business viability, for the entry that offers an NFC solution with the most commercial potential: Barclaycard (UK) for its Quick Tap contactless mobile payment service, Korea Smart Card Co (South Korea) for its Mobile T-money ticketing solution and NXP Software (China) for MediaTribe media sharing. Best user experience, for the solution that best leverages the power, ease, and convenience of NFC technology: Good2gether (USA) for Good2gether and Do Good Badges for nonprofit support, Korea Smart Card Co for its Mobile T-money ticketing solution and NXP Software for MediaTribe media sharing. The winners will be revealed at an awards ceremony during the Wima Monaco tradeshow on 12 April. There is a minor typo, the name of our company is TapThat Game and the website it http://www.tapthatgame.com, there is no “s” in our URL. Also to give a little more info, we are making turn-based/head-to-head NFC games. This is the game that was submitted for the competition: https://market.android.com/details?id=com.tapthat.